“In this room he is the f*****g boss, the f*****g sweetheart, he knows everything. I don’t want to compete with that, not even for a moment”. He has a point. Mourinho has, for almost his whole top flight managerial career, been popular with the press, and has been one of the best when it comes to ‘media relations’, and using the media, without telling them explicitly what to write (most of the time). Mourinho is famous for controlling the narrative surrounding his club and himself — with perhaps the exception of during his time at Real Madrid — and is an expert at steering the conversation in the direction he wants it to go. For example, earlier this season Chelsea played poorly at home against West Ham, wasting chances and failing to score against a defence that had been leaking goals in the weeks leading up to the game. Now, leaving aside the fact that 19th century football was actually ludicrously attacking (2-3-5 being a common formation), that statement then came to dominate all Chelsea-related discussions until the next match, rather than the lack of cutting edge up front. For a team that is top of the league, Chelsea have a manager who is insistent that they are not challenging for the title. He has called his team a ‘little horse’, said that they are building towards next season, and repeatedly praised the strength of Manchester City. So what does this accomplish, and how does it help? 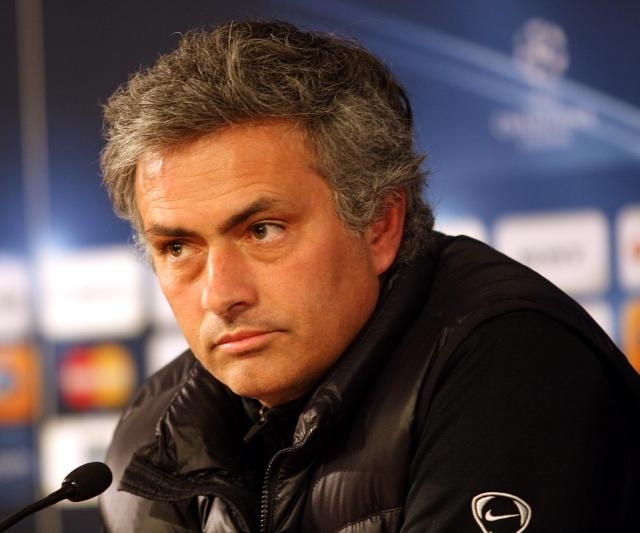 Mourinho’s statements work on two fronts. Firstly, they put pressure on his opponents — after all, he’s said repeatedly how they are the favourites, so if they fail to win the title, there must be something wrong. Secondly, he can play down public expectations, so that if Chelsea falter, there is a buffer against criticism. Oh, and rest assured he will be telling his players something totally different. There is one thing Mourinho does: he wins. When it comes to handling the media, he will say things that almost any other manager would not, and he is fiercely protective of his players — his comment about his Inter Milan players leaving ‘blood on the pitch’ when they beat Barcelona in the semi-final of the Champions League at the Camp Nou being a prime example. Mourinho doesn’t back down, rarely admits he was wrong, and when he loses it is the fault of someone outside of the club. This not only gives the media plenty to talk about without discussing the failings of his teams. The siege mentality (‘everyone is against us, so we’ll win to prove them wrong’) is part of his management style, and is one reason why his conversations with the media focus on external factors, rather than his own team. Ahead of his side’s game against Everton, Mourinho didn’t do much talking. The Telegraph wrote up the transcript from his press conference here. For a manager who is usually engaging during press conferences, this silence is quite a break from the norm. However, there was a lot of talking in the previous few weeks, including calling Arsene Wenger ‘a specialist in failure’, for which Mourinho received a fair amount of criticism. Knowing when to not talk is just as important as saying the right thing. It is possible Mourinho overstepped the line with some of his comments, or he just felt like playing hard to get. Either way, there weren’t any stories about him saying something controversial that week. Of course, since he returned to Chelsea the one time that Mourinho has not been in clear control is when he was recorded saying that the team had no strikers other than Samuel Eto’o, about whom Mourinho made some less than flattering comments regarding the Cameroonian’s age. Now, here is food for thought: earlier in the season Chelsea played at Old Trafford without a striker, now Mourinho has spoken about the lack of strikers at the club, in a place where he is surrounded by cameras, but claims he did not feel those remarks ought to have been recorded? It wouldn’t be the first time someone has said something that, ‘in a private conversation’ that got their message across. The ‘gaffe’ worked out well for the Portuguese. Either he was recorded when he believed he ought not have been, in which case he can give a lecture about ethics and the press, or he meant it, and there is once again a discussion over the strengths of the Chelsea forwards. In either case, he can defend himself publicly, while also reassuring his players that he was not being serious. Rafa Benitez was similarly creative in his approach last season, after the FA Cup tie at Middlesborough. His ‘rant’ effectively ended the fans’ open animosity, as well as ensuring that very one knew he would be at the club for the rest of the season. He may have seemed to be losing the plot, but it worked out very well for the Spaniard, didn’t it? Not all managers are good with the media, Mourinho is. He thinks fast, knows what he wants to say before he steps into any press conference or interview, and is able to use the media, and the discussion surrounding the Premier League and Chelsea, to remove pressure from his players, and apply it to his opponents. Then all that matters is to keep winning.